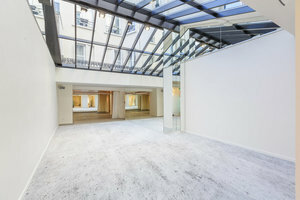 This fantastic 475 sq m is ideal for large and high-end art exhibitions, Showrooms, Product Launches and Private Events. 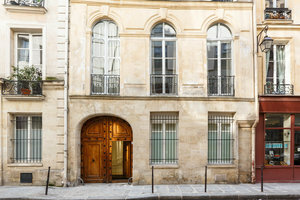 Located in Le Marais, this modern venue is a perfect location for standout events. 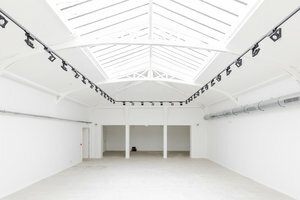 The main room has a beautiful glass ceiling which allows natural light to flood into the space. 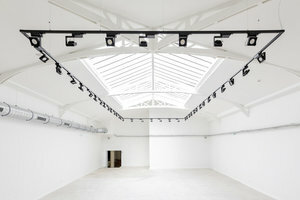 There are also industrial style spotlights and exposed pipes which add a creative character to the main gallery. 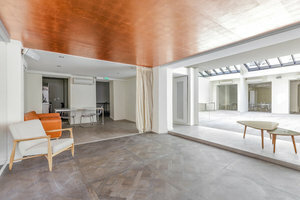 Additional spaces have equally beautiful features such as a copper ceiling, modern furniture and The entire space is decorated to a high standard with a clean finish. 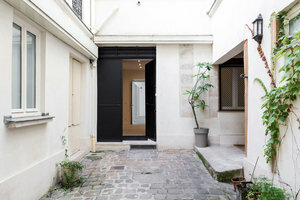 The entrance is in a private courtyard. Facilities include a cloakroom a Wi-Fi. A stone's throw from Rues des Archives, du Temple and de Bretange, this superb space is a perfect place to impress customers and clients. 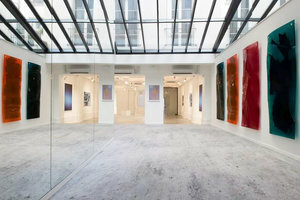 It is also ideal for Fashion Week presentations and private events.